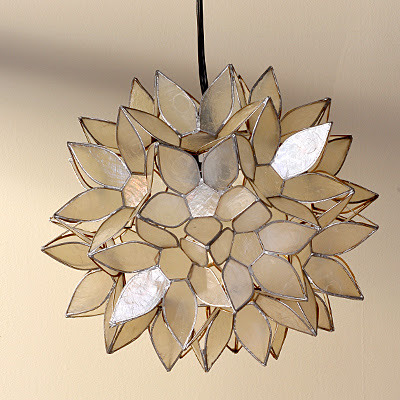 I first spotted this elegant capiz-shell pendant at Jen's master bedroom. It gives out such soft and mellow glow. 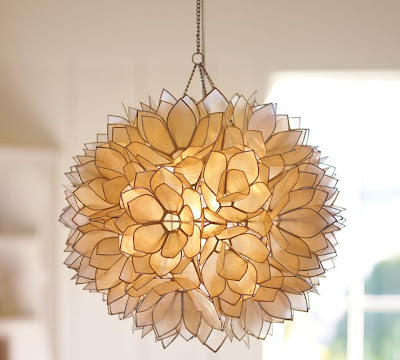 Capiz Pendant at Pottery Barn on sale now for $205, regular $257. Wicker Emporium's Flower Hanging Lamp shares similar design but smaller in size on sale now for $60, regular $120. The smaller diameter is perfect for a little girl's room/nursery, powder room, or as bedside lamps hung from the ceiling.